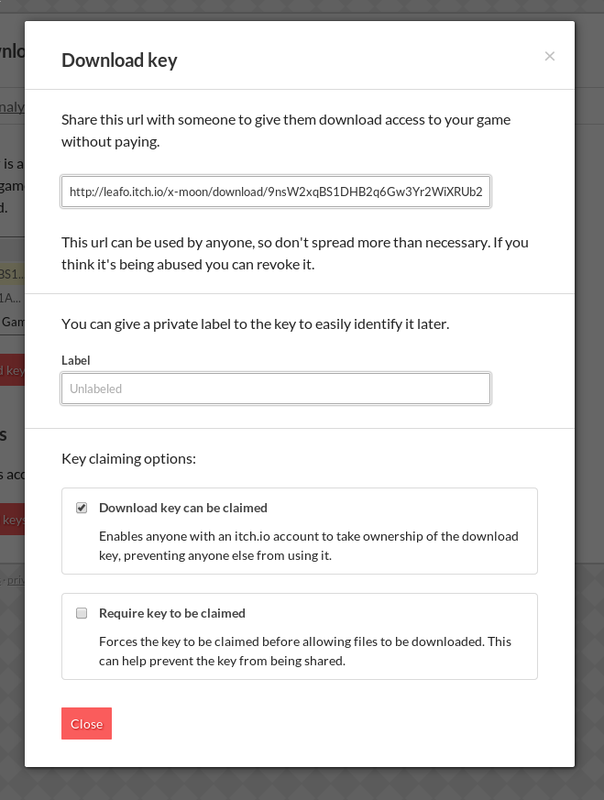 Download keys is a cool feature of itch.io that lets you generate a unique URL for someone to download your game without having to buy it. One of the biggest enhancement requests I’ve gotten about them is the ability for a user to claim a key for themselves. Typically the URL is secret but still accessible by anyone and unlinked to any account, making it easy to lose or abuse. By default all new download keys can be claimed. You can uncheck this box to make them unclaimable if you wish, this will make the download key function as it used to. The user just needs to click the button and the game is theirs. It will show up on their My collections page and only they will be able to access it. If they aren’t logged in to itch.io they’ll be prompted to either log in or create a new account. 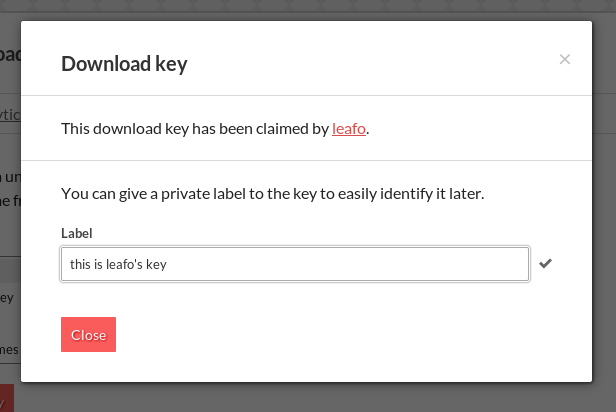 There’s a second option for the developer when creating a download key. They can also require the the key be claimed before the game can be downloaded. This can be a good way to help reduce the chance of the key being shared among multiple people. Existing download keys have not been changed at all. They can’t be claimed unless you go to the Download keys page and update them.